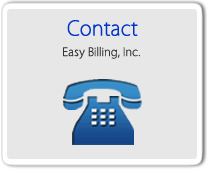 Easy Billing Professional v4-6 is compatible with Windows 10 and Sierra / High Sierra. We do offer custom reports with Exports for your Excel Templates, CSS, SQL and HTML. (charges do apply). 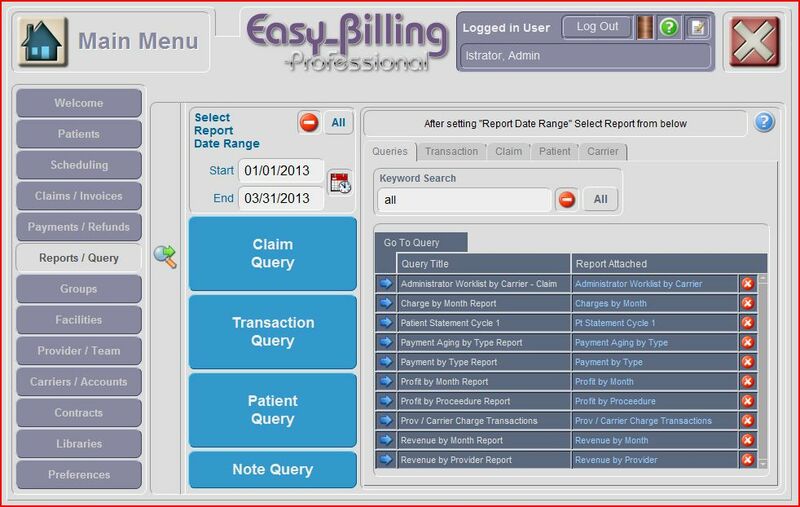 Easy Billing Professional I, II, III: Packages include the ability to add unlimited billing entities and providers, electronic billing capability, auto-payment posting, electronic or paper statements, eligibility tracking and an integrated scheduler. The packages are tailored for the full range of medical practices, pathology labs and medical billing services. 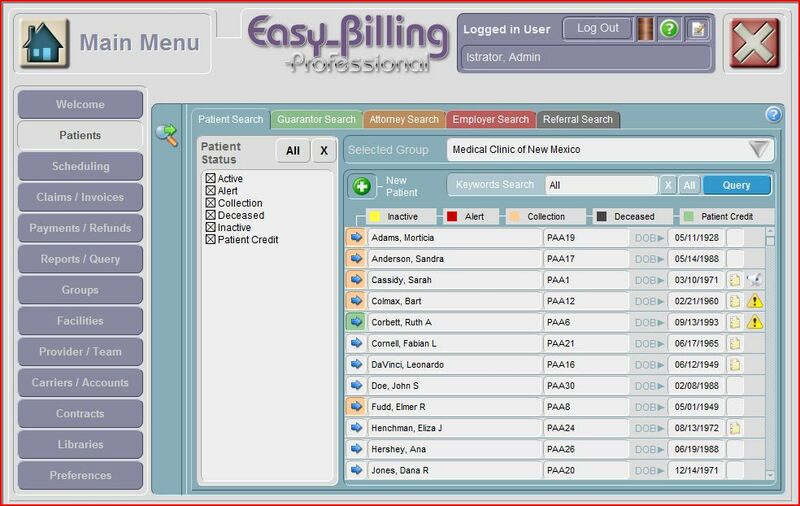 Easy Billing Pro Lite: Includes unlimited billing entities and providers, electronic billing and an integrated scheduler. Without networking ability, auto-payment posting, eligibility tracking, electronic statements, or HL7 interfacing with other software. Easy Billing Professional HL7 Interface for Pathology labs. Is available for any pathology LIS software offering HL7 Interfacing options forming a comprehensive billing system for Pathology Labs. 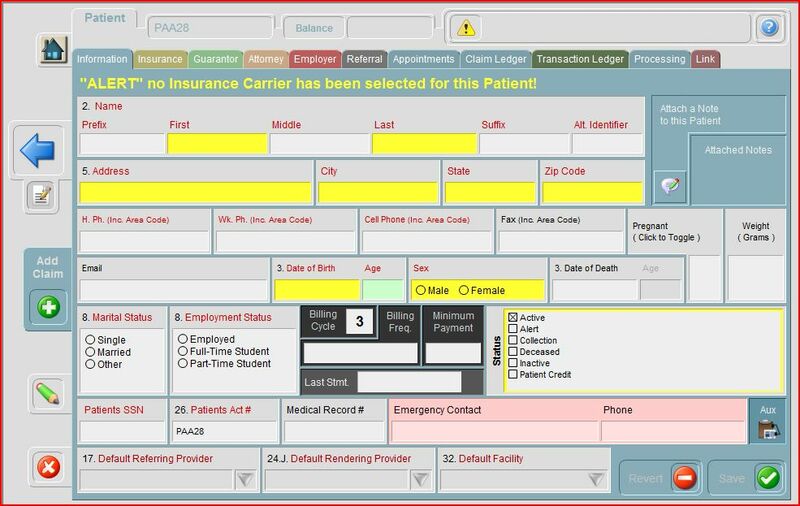 Easy Billing Professional interfaces with Document Plus an EMR for Chiropractors, in a purchased format or monthly subscription. See our Services Page here. Our annual license service agreement offers a diverse range of training or support protocols. We offer weekly training, our Tuesday trainings are designed to understand the basic main sections of Easy Billing Professional. Starting with Patients one week, followed by training on Claims the next week, then Payments and finally simple Reports. We then repeat the weekly sessions. We encourage everyone to attend these to acquire a broad base of the understanding of how the program flows. Our Thursday group trainings are by subject and varies each week. 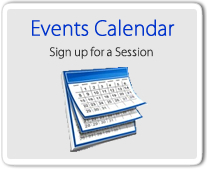 Our calendar lists all of our scheduled training events. Each session is followed by Q&A. 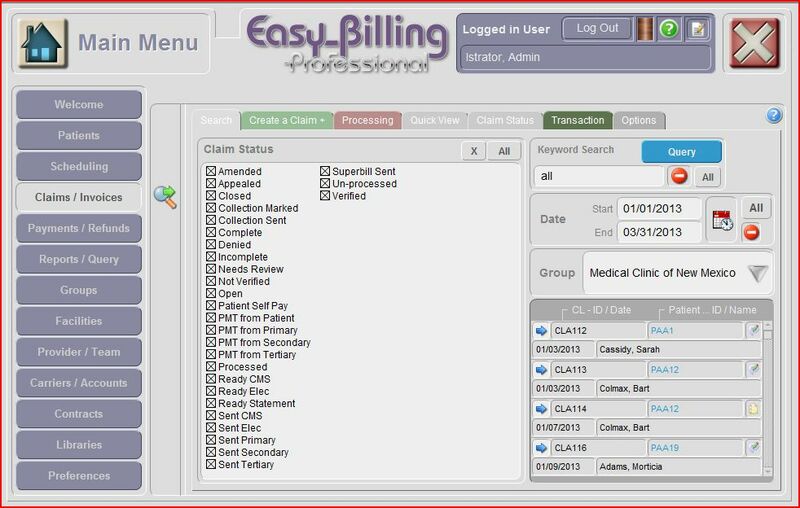 We also offer tutorials and PDF instructions which cover most of the features of Easy Billing Professional. Our goal is to offer as much training as it takes. We believe that with thorough training of Easy Billing Professional your work flow will become easier and much more efficient. All online trainings are done through "Go to Meeting", an online remote webinar system for group and individual training. Do not upgrade your OS (Operating system) without checking to see if your current Easy Billing Pro is compatible, always plan ahead! Windows 10 and Sierra / High Sierra are compatible with Easy Billing Pro v4 -v6 and FileMaker Pro 15 /16 and 17. 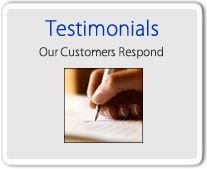 E-Mail Technical Support Form - Submit a technical support question online!